Salford CVS also facilitates VOCAL: Community Safety, a forum for VCSE organisations in Salford to develop strategic priorities and collaborative working on community safety. If you are interested in joining the forum you can sign up to the mailing list. Activities are funded by Salford City Council utilising monies from Greater Manchester Police and Greater Manchester Combined Authority. The Hate Crime Awareness Grant Fund has been administered by Salford CVS. 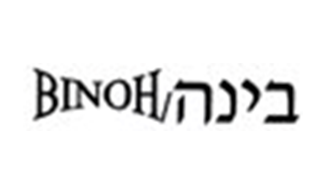 Binoh operates a range of community based programmes to promote empowerment, advocacy, educational provision, community development and quality of life for residents of Salford and specifically it's Jewish residents. Salford Refugees Link (Sareli) works with people from more than 17 nationalities, the organisation works to improve the quality of life for African refugees and asylum seekers and to promote African heritage in Salford. They also act as a Hate Crime Reporting Centre in Salford. For their Hate Crime Awareness Week project, they will deliver two half-day drop-in and advice sessions per week over 12 weeks. Refugees and asylum seekers will be encouraged and supported to report cases of hate crime to the police anonymously via Sareli's Hate Crime Reporting Centre. Mancunian Way specialises in street-based engagement, targeting individuals who don't necessarily want to be engaged but are the most in need. They were founded after the Manchester riots in the summer of 2011 to ensure that the next generation of Mancunians didn't find themselves making the same mistakes as a small minority that went before. We would like to support local young people in Seedley to create a play to raise awareness of Disability Hate Crime. The project would be youth led. 5 youth sessions will take place in January / February 2019, after school, probably 5-7pm. The final performance will take place during HCAW, but no date is set. 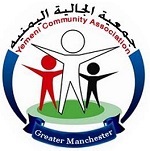 The Yemeni Community Association (YCA) in Greater Manchester exists to help and support people whose family origins are in Yemen or who are from a BME background. They do this by providing access to education, training, leisure and recreation opportunities. YCA also care for those within our community suffering from sickness, poverty or distress, and organise activities to preserve and promote the Yemeni language and culture. YCA will deliver a hate crime play based at their Centre in Eccles during Hate Crime Awareness Week. The play will showcase real-life incidents to touch the hearts of the audience. YCA will also run an open workshop during the performance making it more interactive for attendees. Gaydio is a radio station for the lesbian, gay, bisexual and transgender community in the United Kingdom, broadcast on 88.4 FM in Greater Manchester. For Hate Crime Awareness Week Gaydio are working with 10-15 local people that identify as lesbian, gay, bisexual or transgender (LGBT) to deliver a series of radio workshop sessions. Attendees will have the opportunity to learn new radio and media skills as well as access training. Broughton Boxing Academy makes taking part in physical exercise accessible to everybody in the community no matter what their skill level, background or level of mobility may be. As well as their regular classes the club run a wide variety of tailored classes throughout the week. This year they are expanding on the work they delivered through the Hate Crime Awareness Week funding in 2018. They are hosting 3 talks over 3 months, allowing people the opportunity to reflect on previous talks as the months progress, build confidence and speak when they feel comfortable rather than feeling like they only have one opportunity to do so. BBA are filming a new documentary featuring people who have experienced hate crime and also those who have been the person expressing hate. The Health Action Team is for residents and ex-residents of Salford Foyer. 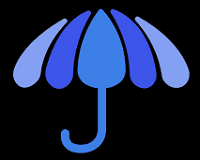 They aim to provide new opportunities and experiences, organise and take part in activities which will help people to have a healthy body and mind. They are delivering a Hate Crime Awareness Event to the young people at a Salford Foyer and inviting members of the community and local groups. The Team will also deliver a ‘celebrating our diversity and our community’ arts session. 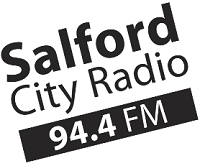 Now in its twelfth year, Salford City Radio is a multi award-winning non-profit community radio station brought to you by more than one hundred local people every week. They encourage new, unique and innovative radio with a local feel and local relevance. All shows are produced and presented by volunteers and we offer Salford a unique service that promotes local news, people, topics and events. Across Hate Crime Awareness week, a series of live shows will be produced to specifically raise awareness of Hate Crime. These shows will be downloaded and edited to initially repeat across the week, and some of the audio used in the creation of an advert to highlight hate crime and how to report it. 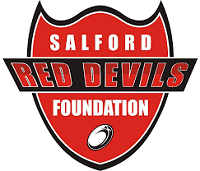 The Red Devils Relations will launch at the Salford Red Devils home game scheduled on the 10th Feb during Hate Crime Awareness Week. The match day programme will have information included as part of the community pages raising the awareness of what Hate Awareness Week is aiming to achieve and there will be announcements and activities to engage with members of the community to promote the desired message as well as advertising the forthcoming sessions. Warm Hut was formed in 2009 by a group of women who were asylum seekers and refugees living in Salford. The charity now has a wider remit of helping African people especially women and girls overcome the social barriers they face beyond immigration status and to get the most from living in the UK. Arts and crafts activity with children. Cohesion activity - a friendly football game and food from different communities for everyone to share. 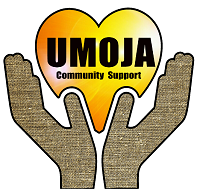 Umoja's mission is to improve health, increase integration, encourage, and support the inclusion, and educational success of people from groups that are severely underrepresented in the community, in particular, Black African / Black Caribbean people. Umoja's Hate Crime Awareness Week activities will include discussions on hate crime and its impact, how to better understand hate crime, how to report hate crime, where and when, how to prevent hate crime. Participants will be trained to become peer educators of hate crime in the community.